We provide 24HR Emergency Automotive, Commercial, and Residential Lockout Services. Everyone knows the feeling when you lock yourself out of your home, your car, or your office. All of us experienced a locked out incident whether locked out of home, car, or business. As a matter of fact, 250,000 individuals experienced lockout incidents across the U.S that it’s hard to imagine. Emergency Lockout Services are needed at any time. Not only you can lock yourself out of your car late at night, but you can also lock yourself out of your home, very early in the morning. This is the reason why we provide 24HR Emergency Lockout Service around the clock. For the purpose of providing fast 24hr emergency lockout services, we offer 20 minutes response to your call. You can absolutely be sure we’ll unlock your door as fast as possible. Emergency locksmith in your area can be reached here. Soon after receiving your call, one of our locksmiths will be on site shortly as 20 minutes. LockTech24/7 emergency locksmith is a mobile locksmith company. We cover emergency situations of automotive, residential, and commercial locksmith services. With this in mind, we provide 24hr emergency lockout services in Allentown, Easton, and Bethlehem PA. 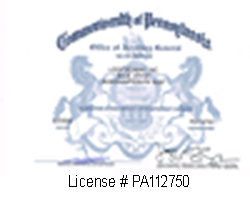 However, we serve the entire Lehigh Valley PA, including Northampton, Lehigh, Monroe, and Berk Counties. Perhaps you need to unlock a special lock or heavy door, but you worry not! Our lockout experts are able to unlock any door! It doesn’t matter if you’d like to unlock your car, house or business. Dealing with locksmith lockouts specialist is eventually benefit you. We can pick your lock or open your car door with no damage, whatsoever, and with just a short time. We specialize in automotive, residential, and commercial locksmith services. Our locksmiths can help you with any requirement of unlocking door service. 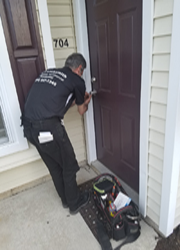 Whether unlocking a car door or a tractor door, And whether you need to unlock a front door to your house or your apartment, we are only one phone call away. At the same time, no matter if you need to unlock the main door to your office or your storefront. Our locksmiths are leading the lockout services in the area. With eight years of experience unlocking thousand of doors from all types and size, you can let us confidently to unlock the door of your property. After dealing with our Emergency Lockout Services, we guarantee you not keep looking furthermore for handy local locksmith company. In addition to our fast emergency lockout service, we also support our labor and products with a ninety days warranty. 24HR emergency locksmith service is here for you. When it comes to automotive lockout service, we believe you want fast lockout assistance. When you stuck somewhere on the side of the road because you locked yourself out of your vehicle, you want to be able to go back on your day, as quick as you can. We provide automotive lockout service to any brand name, year, and model of any vehicle. In addition, we provide lockout service to RV, camper van, toolbox behind a pickup truck, or gas cap. An automotive lockout situation can happen when you go to Walmart or the public library. Call us when you lock yourself out of your car. We guarantee 15-20 minutes arrival on site. Many people need a 24/7 residential lockout service. This is because we can get locked out of home at the middle of the night, or early morning. As we speak about our residential locksmith services, we proud to announce that we cover complete residential locksmith services. Within our emergency residential lockout services, you can find house lockout and apartment lockout. That is to say, we cover everything from front house door unlock to bedroom door unlocked. Residential lockout services can be varied to out yard shed lockout, storage room lockout, a draw locked out, or a safe box lockout. We know business wise! As business to business, we know that a commercial lockout can be a crucial situation to your business day. This is the reason why we offer 24/7 emergency commercial lockout service. It doesn’t matter if you locked out of your storefront door, office, warehouse, or storage room. Commercial lockout service of LockTech24/7 is one phone call away to receive fast and reliable business lockout service. Whether you would like to unlock a file cabinet, a buzzer system lock, or key-less entry lock, we can help.